So this is a quick reference guide designed to be used out in the field. Thing is, I'm rather obsessive-compulsively sequential and read material like that cover to cover, which goes against the design of the format. That being said, I got some of what I wanted out of the book (namely having a better handle on contraptions on utility poles etc.) Some elements of it struck me as inadequate, such as a large share of the photographs of objects. Maybe a later edition can expand on the number of items covered and provide better image reference material. Ultimately I was satisfied and I thought it was enjoyable reading matter. My dad gave this to my daughter. Though it's out of date and the greyscale pics are pretty grainy, it's a fascinating book! 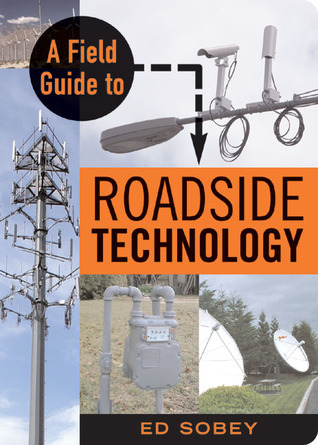 Answers all of the questions about all of those infrastructure things you might see on the side of a road or in your backyard. The writing is needlessly complex at times, but with a little editing and better color images, I would give this 5 stars. This book was ok. It would make a great book if I was going cross country and wanted to play I-Spy but other than that, it is more of a reference book. A great book to take on road trips. The book explains what all those odd boxes and wires and gizmos are. This was book full of geeky fun. I learned a lot about all those devices that sprout up around our roads and rivers and wharfs and stuff. And it's a quick read, if you want it to be. Ed Sobey - Ed is curious - he wants to see the world and understand how it works. So he travels (a lot) and takes things apart. And, he enjoys putting things together from building robots to writing books.As a math and physics major, Ed likes numbers. He's traveled to 61 countries on all 7 continents. He has directed 5 museums (including the National Inventors Hall of Fame and founding the National Toy Hall of Fame) and written more than two dozen books.He holds a Ph.D. in oceanography and has participated in 20 some expeditions, including doing research on sea ice in Antarctica. With his wife, he has sailed across the Pacific Ocean and has done a circumnavigation teaching oceanography for Semester at Sea. Ed is a Fellow Emeritus in The Explorers Club.An avid outdoors person, Ed runs, bikes, swims, kayaks, and SCUBA dives. Along the way he searches for the unusual gizmo to take apart - or at least figure out how it works.